"Because I was a member of the Vienna Philharmonic as a viola player, I could watch all of the best conductors in the world. So, it was, for me, the best conducting school that you can imagine." 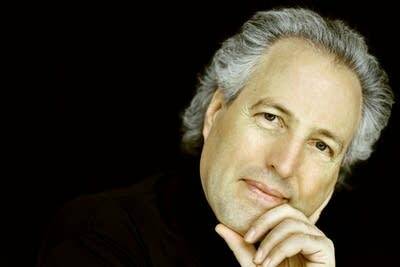 Manfred Honeck observed and studied conductors like Claudio Abbado, Lorin Maazel and Leonard Bernstein, all of whom inspired him to pursue his own conducting career. Ten years ago, he was appointed music director of the Pittsburgh Symphony Orchestra. It's a match so well suited, his contract has now been extended to 2022. 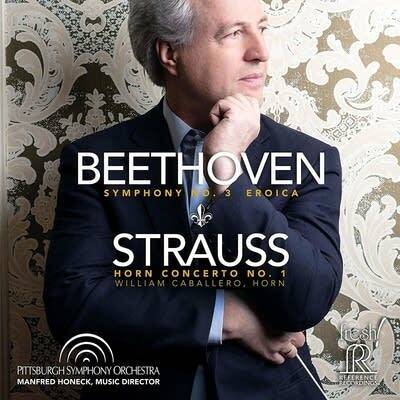 They've just released their latest live recording together, and it features Beethoven's Eroica Symphony as well as Strauss' Horn Concerto No. 1. William Caballero is featured on the Horn Concerto No. 1 by Richard Strauss on this recording. How is it that Strauss was able to stretch the possibilities of the horn with this concerto? "Well, his father was a horn player and he knew exactly what the horn was able to do. It's amazing how he wrote. And now we know that the father of Richard Strauss, Franz Strauss, tried to play it. And he said, 'This is impossible to play this piece!'" It's interesting too, because the comment that William Caballero makes in the liner notes is how now this horn concerto is played by a lot of younger horn players  it's kind of just something they learn. So, it's harder to really set it apart. I know he was really pleased that the two of you came to terms with the best way to interpret this work. Can you describe for me the conclusions that you made? "This recording has a special attention to lightness and to virtuosity. At the same time we try to also catch the atmosphere of warm sound, which I believe is necessary for this piece  especially in the second movement, which I regard as a romance. And that's also the reason why we put this together with Beethoven's Third Symphony. It works out. When you see it from this angle, it makes complete sense." And Beethoven makes full use of the horn section in his Eroica Symphony which helps to bring out that heroic quality too. "Absolutely. I mean, sometimes you can call the Eroica a horn symphony. For example, the trio of the third movement. It was, for me, enormously important not just to play the notes but also go to the characteristics of the old hunting dance. So that's a reason why I put a little bit more stentato in the beginning of the horn phrase. "And, harmonically, when you listen to the climax of the development section, in the first movement where he puts a sharp dissonance like E and F, especially in the trumpets  it's amazing how shocking this sounds. Nowadays, we are not so shocked anymore. But, on this CD, I wanted really to bring it out  like you're hearing it for the first time. "Also, listen, for example, in the end of the second movement when the third horn  it is very hidden in the score  plays the three note upbeat, which we now know is the main motif of his Fifth Symphony. "There is also, in the end of the second movement, something that I think is special. In that time, when somebody died, it was a tradition in Austria that the coffin was brought through a procession to the church. So, for me, it was no surprise that Beethoven put this procession into music. When my mother died when I was 7 years old, I had exactly the same experience. It shows how greatly Beethoven was connected with the Austrian tradition in that time. "It's a symphony which is still sensational  you always discover new things. I'm so happy that I could present these on this CD, these new ideas. And, also, the excitement of these rhythmic and harmonic elements which I try to experience like you would hearing it for the first time."